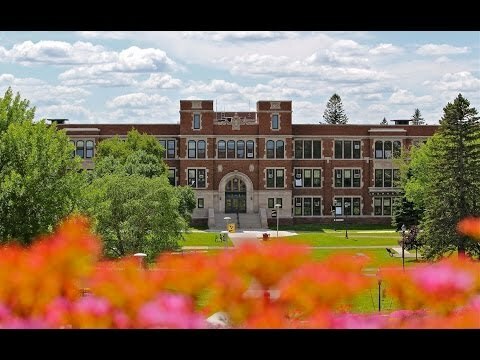 UW-Superior's Graduate Studies Program in Counseling provides professional education and training leading to a Master of Science in Education degree in Clinical Mental Health, Marriage and Family Therapy or School Counseling. Counseling is one of the most employable Majors, with graduates enjoying a nearly non-existent chance of being unemployed. At the completion of their studies, students in Clinical Mental Health, Marriage and Family Therapy or School Counseling are ready to seek a counseling position in a mental health agency, university or school system with K-12 school certification. The M.S.E. program is designed for students who wish to become professionals in counseling and related fields. Students engage in two years of intensive professional development, which includes knowledge building and skill acquisition through traditional classroom instruction, practicums and an internship enabling students to professionally apply their acquired skills. Besides being offered in a variety of styles that contribute to effective student learning, classes are offered with students’ schedules in mind. Most classes are offered from 4 to 7 p.m. or 7 to 9 p.m. on weeknights. Some weekend condensed and online classes are also available. Most students complete the program within two-and-a-half to three years. Fellow counseling graduate students bring sincere interests, real-life experiences and a strong desire to learn. They work and learn with others who share their interest, motivation and dedication. Students not only learn from the dedicated faculty and staff, but they learn from each other as well. Suzanne Finckler is ready to answer any questions you have about Master of Science in Education - Counseling. Classes have included: Family Counseling, Family Group Systems, Behavior Modification, Group Counseling, Counseling and Human Sexuality, Career Counseling, Pre-practicum and Practicum. We have several Graduate-level programs available. Credit for Prior Learning (also known as Prior Learning Assessment) offers students with significant life and work experience the chance to earn graduate credit by demonstrating what they have learned.